This is the first time I use Szechuan peppercorns, and contrary to popular belief, these peppercorns are not peppers at all! 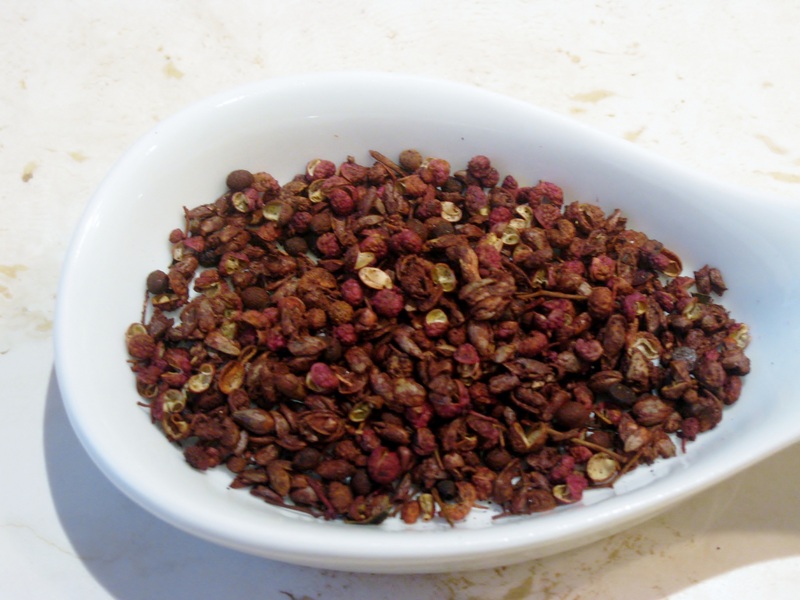 Szechuan peppercorns – widely used in Asia – have a unique fragrant aroma similar to that of lavender and with lemony hints. Yet, their most famous quality is the powerful numbing sensation that they cause around the mouth. 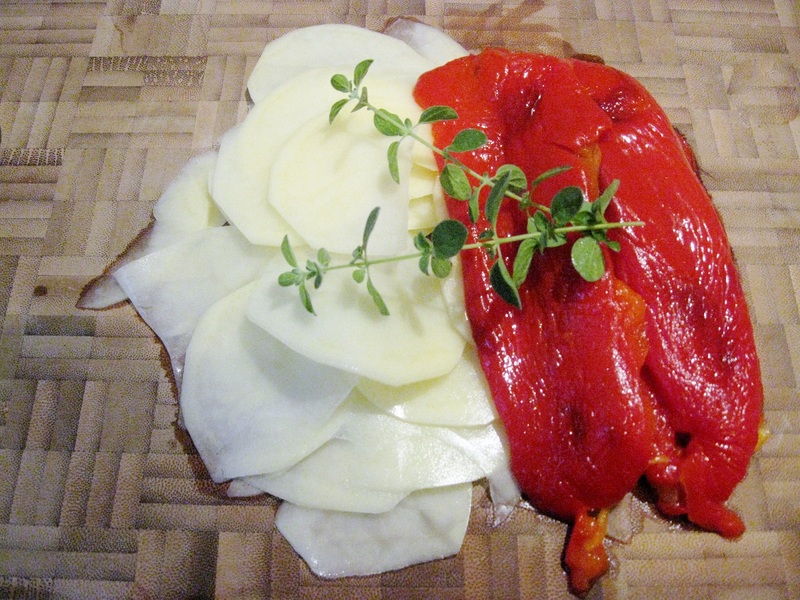 Roast red pepper. 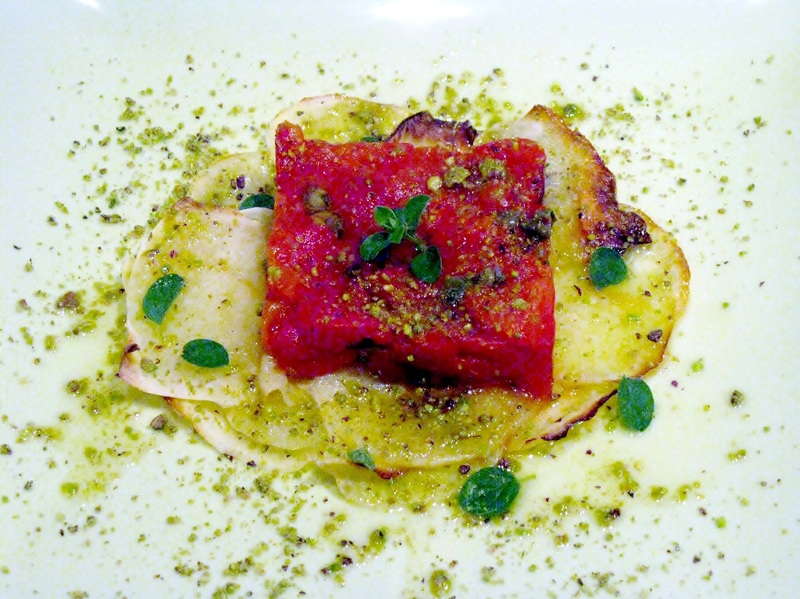 You can visit my post Bucatini with roasted red pepper sauce and zucchini to see how to roast peppers. 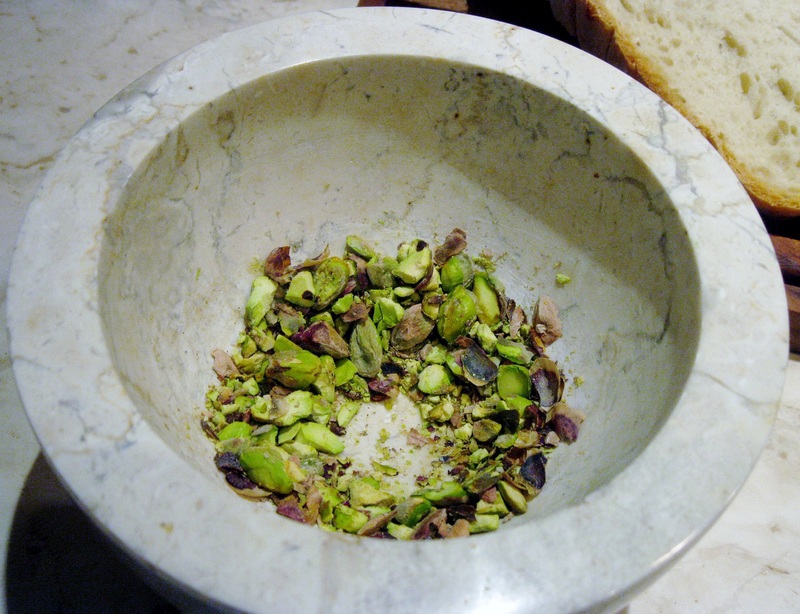 Combine pistachios and Szechuan peppercorns. 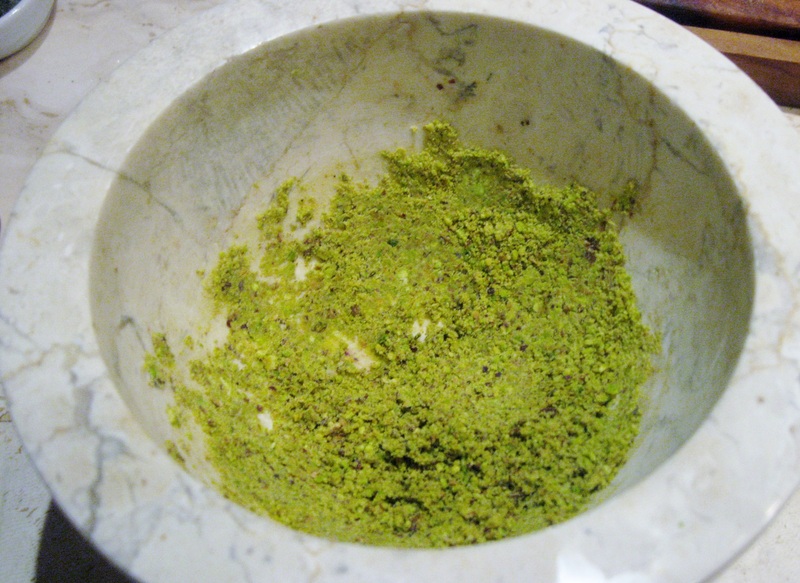 Using a mortar and pestle, crush pistachios and Szechuan peppercorns and mix well to form a powder. 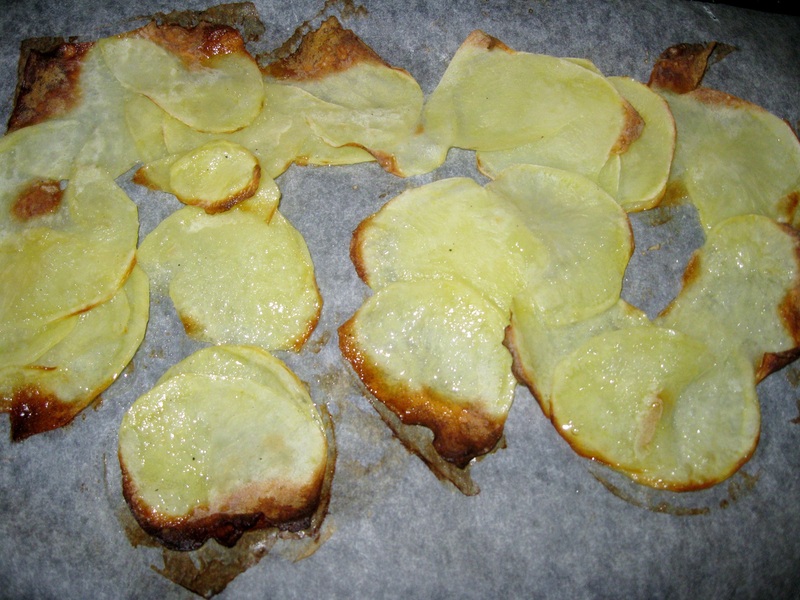 Bake potatoes slices at 180° C (about 350° F) until done and slightly golden on the edges. Add salt to taste. 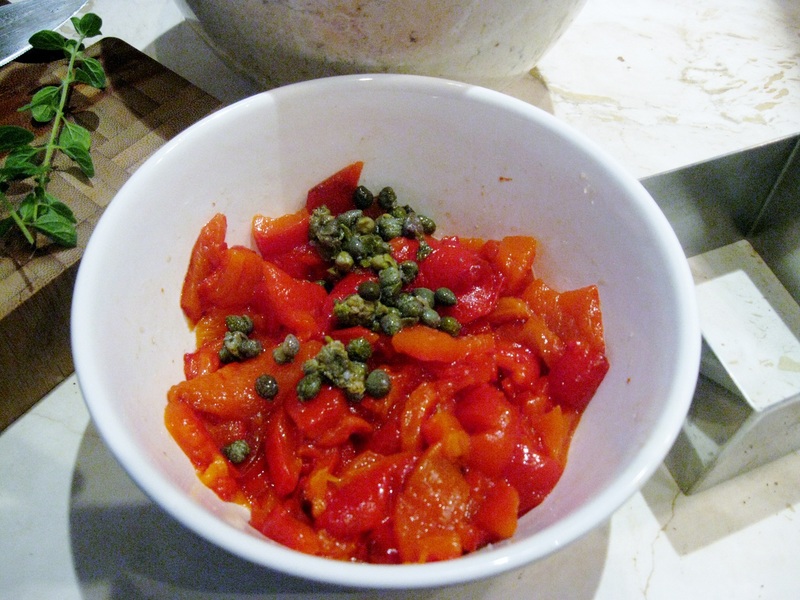 When the red pepper has been roasted and skinned, cut up into small squares, and combine with capers. Add salt to taste. 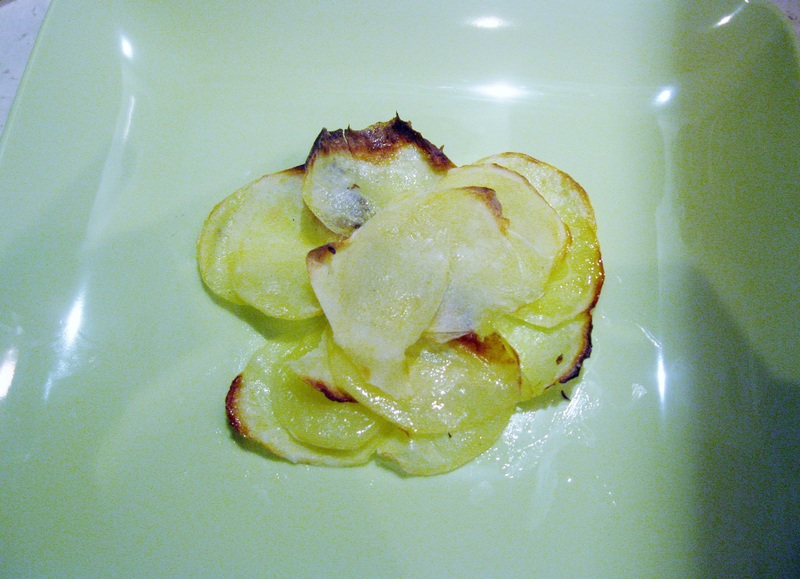 Arrange potatoes slices forming a flower pattern. 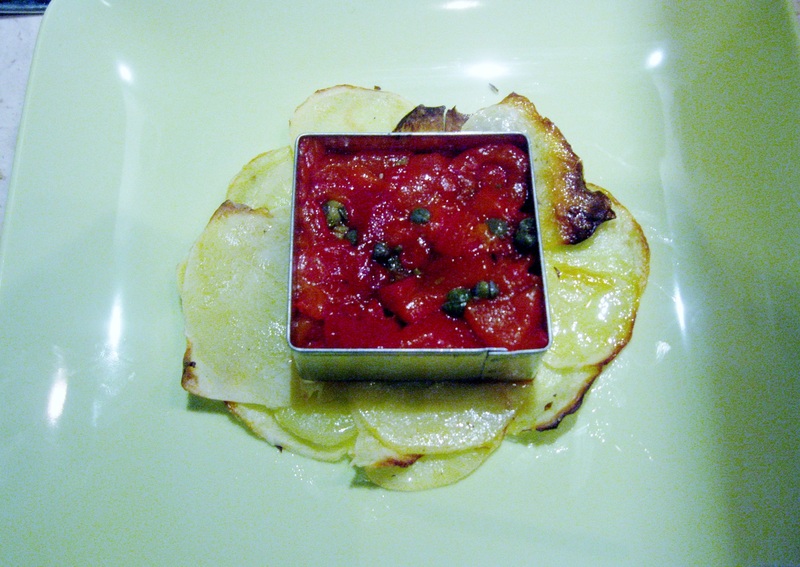 Using a metal pasta cutter (I used a square cutter), place red pepper- caper mixture and press it down to firm it up. Remove the pasta cutter and sprinkle with pistachio- Szechuan peppercorn powder. Drizzle with extra virgin olive oil and garnish with some oregano leaves. Such a beautiful dish! You’re amazing and I bet an invite to one of your dinner parties is highly valued. Ma che bel complimeto. Grazie mille!!! I bet your dinner parties are an Italian feast for your guests!! So impressive! I just love the presentation and the flavors look wonderful too. Fabulous recipe – I’ll be making that. Wonderful!! Let me know how it goes! ¡Que rico! Looks so beautiful and I bet it tastes amazing. Am intrigued by the peppercorns. Not sure I can get them here, but maybe next time I am in London? Definitely!!! London is such a great city for international food, so I am sure you can get Szechuan peppercorns in there! Molto interessante!Quando posso venire a cena da te? Grazie mille! Quando vuole lei!! So very creative! And the presentation is so lovely! What a unique mix of flavors with the pistachios, peppercorns and roasted peppers. I would love to try this out. What an incredible dish. Gorgeous and so inventive. Thank you!! You are very kind!